Republic Bank Ghana Limited has met the Bank of Ghana’s new minimum capital requirement of GH¢400 million ahead of the December 2018 deadline. The announcement comes after the bank successfully completed its Rights Issue to raise an additional GH¢255 million from its shareholders. The offer, which opened from July 23rd to August 10th, 2018, received 161 applications from qualifying shareholders who subscribed to a total of 588,384,402 shares far in excess of the 463,636,364 shares on offer. The offer therefore raised GH¢323.61 million, representing a subscription rate of 127%, exceeding the targeted amount of GH¢255 million and further putting the bank’s stated capital in excess of GH¢400 million. After fully allotting a total of 395,582,160 entitlements and 68,054,204 extra shares to qualifying shareholders, all the applicants received the shares that they applied for with the exception of Republic Financial Holdings Limited which will receive a refund of GH¢68,611,420.90. The Managing Director of Republic Bank, Anthony Jordan, expressed his profound gratitude to the shareholders, customers, management and staff for believing in Republic Bank and helping the bank to achieve this feat. According to him, the oversubscription of the Right Issue is a clear indication of the overwhelming confidence that shareholders have in the bank. He stated that the bank would continue to pursue its growth and development agenda by continuing to offer support to growing and established Ghanaian businesses. He called on the business community to join the Republic Bank family to share in its over 180 years of continuous excellence in the banking industry and also take advantage of the bank’s loan campaigns especially the recently launched ‘Back to School Loan’ sale under which applicants can get up to 10 times their monthly net salaries as loans at a flat rate of 13.65%. 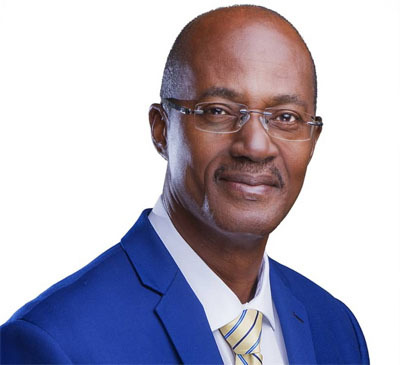 Republic Bank is a member of the Republic Financial Holdings Limited (RFHL), the largest bank in the English-speaking Caribbean with an asset base of over $12 billion. RFHL recorded $993.3 million profit at the end of June 2018, representing an increase of $34.4 million or 3.6% over the corresponding period of last financial year.